The Six Classes is a visionary program of the Green Science Policy Institute, whose aim is to reduce the use of harmful chemicals in consumer and other products. It focuses on entire classes or groups of chemicals of concern, rather than phasing out problematic chemicals one at a time. This approach of tackling entire groups of chemicals is needed because more than 80,000 chemicals are used in the U.S. Many have not been well studied and their impacts on human and environmental health are not understood. Even so, some chemicals known to be harmful are commonly found in consumer products. Moreover, when a harmful chemical is phased out, often after years of research and advocacy, the replacement is likely to be a “chemical cousin” with similar structure and potential for harm. The Six Classes approach can prevent such “regrettable substitutions” and accelerate reductions in toxics use. Petition to the Consumer Product Safety Commission. To establish a legal precedent for regulating chemicals as classes, the Green Science Policy Institute, in collaboration with Earthjustice, prepared a science-based legal petition asking for a ban on the use of additive chlorinated or brominated flame retardants in four product categories (upholstered furniture, mattresses and mattress pads, electronics enclosures, and children’s products). The petition, submitted in April 2015 and supported by a broad coalition of stakeholders, is under consideration by the CPSC. Learn more about the Green Science Policy Institute and chemicals of concern. Arlene Blum Ph.D., chemist, author, and mountaineer is a Visiting Scholar in Chemistry at UC Berkeley and Executive Director of the Green Science Policy Institute. The Institute’s work has contributed to reducing the use of flame retardants and other harmful chemicals in consumer products worldwide. Blum led the first American ascent of Annapurna I; the Great Himalayan Traverse across the mountain regions of Bhutan, Nepal, and India; and hiked the length of the European Alps with her baby daughter on her back. Her current “mountain” is to work with decision makers in business and government to produce and purchase products with safer chemicals for a healthier planet. 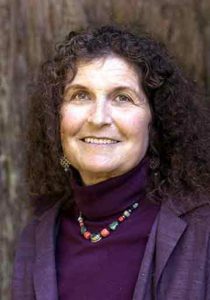 Arlene Blum received her Ph.D. in Biophysical chemistry from UC Berkeley and has taught at UC Berkeley, Stanford University, and Wellesley College. This site is home to a new series of 4-minute videos about the Six Classes. You will find additional supporting information and links to resources on each page.